When thinking about growing your mortgage broking practice, which of these two numbers do you tend to focus on? Lifetime Value (LTV): the economic value the client will deliver over the lifetime of the relationship. You want to acquire the most new clients at the lowest possible cost. Don’t get me wrong – there’s nothing wrong with wanting to be efficient with client acquisition. When you do all these things, it’s self-evident that lenders need fewer clients to earn the same income levels. And it’s also clear that if you had a way of manufacturing “ideal clients” on demand, then you could afford to spend whatever it takes (within reason) to acquire more of these clients. Based on a series of reasonable assumptions (outlined below), I calculated that an ideal mortgage broking client generates $29,140 in revenue over 10 years. (And if you want to run your own numbers, just make a copy of my Ideal Client Value Calculator Spreadsheet here). Here’s the raw data I’ve used for this analysis. I have assumed a reasonable Client Lifetime Value of 10 years, although in practice this may be longer for your very best clients. Over 10 years I’ve assumed 2 new loans per client. Each ideal client attempts 1 referral per year. 33% of referral attempts result in a settled loan. I have calculated potential fees and revenue from 4 additional revenue streams, resulting in additional revenue of $1,165. Now here’s where I add up revenue from all sources over 10 years based on the above inputs. When calculating Referral Value over 10 years, I have only considered the value of the initial upfront commission generated by the referred client – not the resulting trail, refinance or ancillary revenue arising from referred business. Based on this analysis, an ideal mortgage broking client is worth $29,140 in revenue over 10 years. Want to see how your numbers compare? Simply fill in the blanks to find out the value of your average client. Good clients are worth a lot to your practice, so it’s worth looking after them! You can afford to spend a reasonable amount to acquire a new client – don’t be stingy! The value of the initial upfront commission is only 11% of total Lifetime Value. The ability to generate consistent client referrals is key — responsible for 37% of total lifetime value. Generating ancillary revenue adds incremental value, although it’s only 4% of the total LTV. You also have to remember that providing a more complete service is a part of providing clients with a better service. Client retention and satisfaction are key! 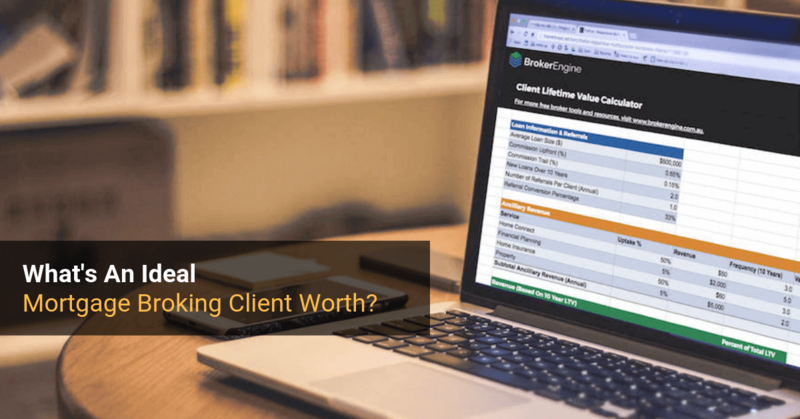 Up to 89% of total lifetime value comes down to keeping clients happy and adding massive value. As you can see, there isn’t any ONE focus area that leads to a great mortgage broking practice. You need to get multiple levers working in harmony in order to reap the rewards. Getting all these things working takes time and effort. Just when you think one area is sorted, it’s easy to get distracted and hit a few “speed wobbles”. This is a very common experience among brokers, which is why you may benefit from a little assistance — by having the systems you need handed to you on a silver platter. 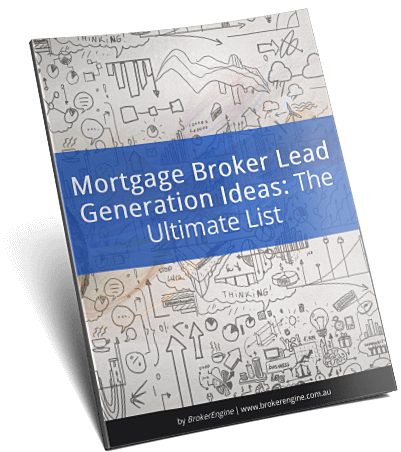 We’ve been working with a handful of brokers on boosting the lead generation, sales, referral generation and retention functions in your practice. The investment is very reasonable (too cheap, really). Click here to find out more and see what we have in store for you.